In his role as ICC Cricket World Cup 2015 Ambassador, Tendulkar will promote and support a variety of ICC initiatives to enhance the profile of the tournament, which is the third biggest sporting event in the world and will take place in Australia and New Zealand from 14 February to 29 March. 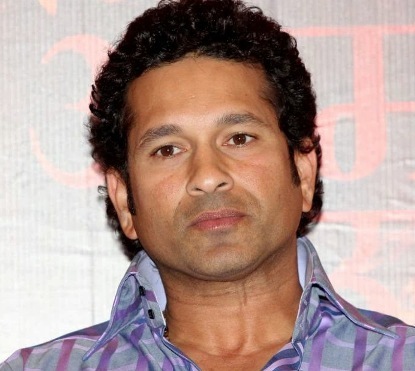 Tendulkar added the missing World Cup title to his long list of achievements in his sixth attempt in 2011. He is the all-time leading run-getter in World Cup history with 2,278 runs in 45 matches at an average of 56.95. For his 673 runs in the ICC Cricket World Cup 2003, he was awarded player of the tournament as India finished runner-up to Australia. Commenting on his appointment, Tendulkar said that he was delighted and honoured to be appointed ICC Cricket World Cup Ambassador for the second successive time. He further said that after playing in the last six editions, the upcoming World Cup would be a different experience as he would follow it from the sidelines. It could probably be comparable to the ICC Cricket World Cup 1987 where he was a ball boy, enthusiastically cheering every ball. The excitement of the World Cup grows with every new edition and this year's host nations, Australia and New Zealand, were known for their sporting culture, great cricket facilities and knowledgeable crowds. Lifting the World Cup was every international cricketer's quest and the tournament brings out the best of individuals and competing teams, he added. The image of the champion team lifting the World Cup inspired many youngsters around the world and gave them a dream to chase - a dream which he fulfilled after 22 years of relentless pursuit by being part of the victorious Indian team in 2011, he added. ICC Chief Executive David Richardson said that the ICC was delighted to once again have Sachin as an Ambassador for its biggest and most prestigious tournament. Sachin was not only an inspiration to cricketers but to all sportspeople for his endurance, perseverance, talent, personality and commitment to the game. The 11th edition of the ICC Cricket World Cup kicks off in Christchurch on 14 February when co-host New Zealand take on former champion Sri Lanka. On the same day at the picturesque Melbourne Cricket Ground, four-time world champion Australia will square-off against England, which reached the final the last time the event was staged in Australia/New Zealand in 1992. The format of the tournament is the same as the ICC Cricket World Cup 2011, i. e. two groups of seven sides each, quarter-finals, semi-finals and final. All the knock-out stage matches will have reserve days.